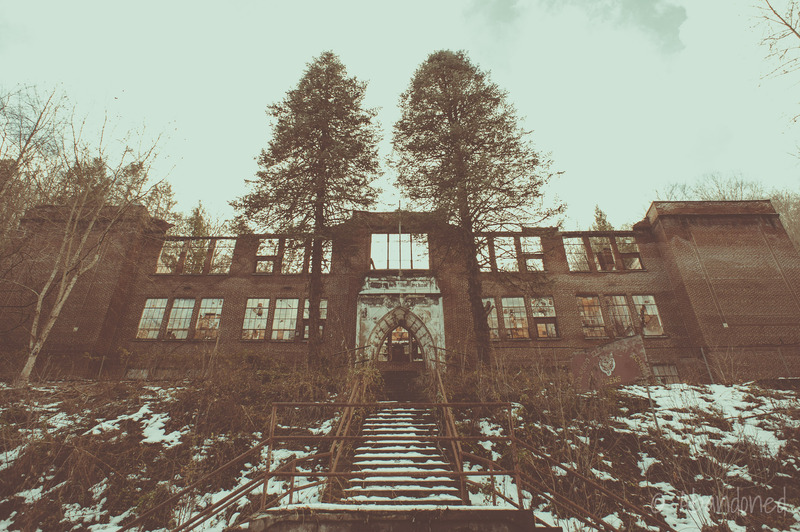 A gallery of abandoned schools in the United States. 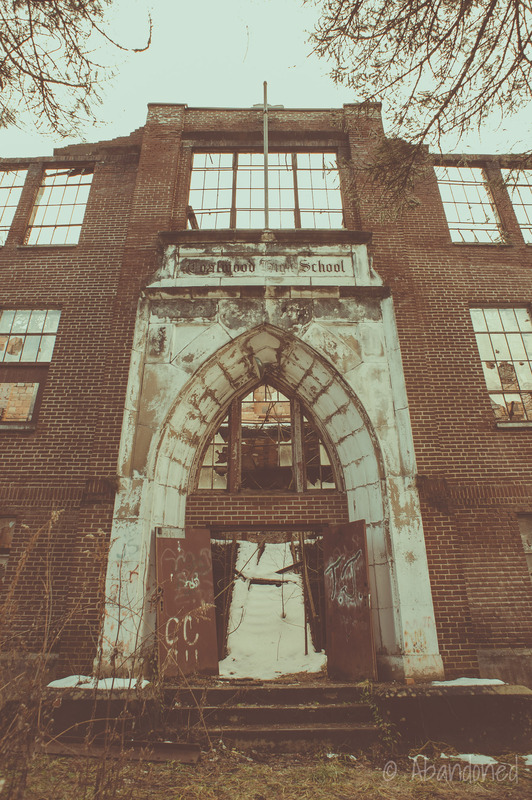 An abandoned school in Arvel, Kentucky. An abandoned one-room school in Taylor Township, Cortland County, New York. Turkey Bone No. 14 School is located in Randolph County, West Virginia. Edmonton High School is a former high school in Edmonton, Kentucky. Organized in January 1910, construction of the first permanent school building did not begin until 1923. It opened in 1924. The Sayre School, located in Sayre, Ohio, was constructed in 1908. The Rose Farm School, located in Rose Farm, Ohio, was constructed in 1931. The Crooksville High School is located in Crooksville, Ohio and was constructed in 1904 as the city’s high school. It was heavily modified and expanded in the 1930’s, with all of its original ornamentation removed, and renamed the East School. It closed in 1981. The Lawton School is a former school in Lawton, Kentucky that closed in 1994 when it and Clark Hill and Grahn was merged into Olive Hill Elementary. A late evening view of a collapsed school in Oddville, Kentucky. A view of the Cubbage, Kentucky school. A view of the Blackmont, School, since burned. The former Estill High School in Estill, Kentucky. A view of the abandoned Wayne School in Wayne, West Virginia in 2013. The buildings have since been renovated. The abandoned Oxford School in Oxford, Kentucky was built in 1928. 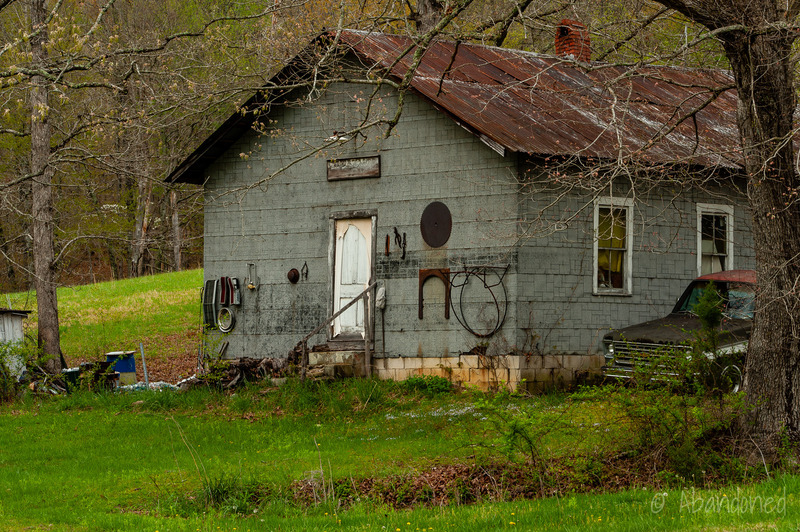 A view of the long closed Forksville, Pennsylvania school. A view of the formerly abandoned school in Paint Lick, Kentucky. A view of the long closed c. 1900 Benjamin Harrison School in the Sedamsville neighborhood of Cincinnati, Ohio. A closed elementary school in Mallory, West Virginia. The Elbert-Filbert Public School is a former school in Elbert, West Virginia, a former coal camp owned by the United States Steel Gary Works. The white-only school was constructed in 1922. As of 2011, it was being reused as a church. The Jolo Grade School is located in Jolo, West Virginia and was constructed by the Federal Emergency Administration of Public Works. It was designed by Hassel T. Hicks and constructed by Virgil Stowe. While the school has since closed, the building still operates as a community center. The Pleasant Home School is located in Pleasant Home, Kentucky. 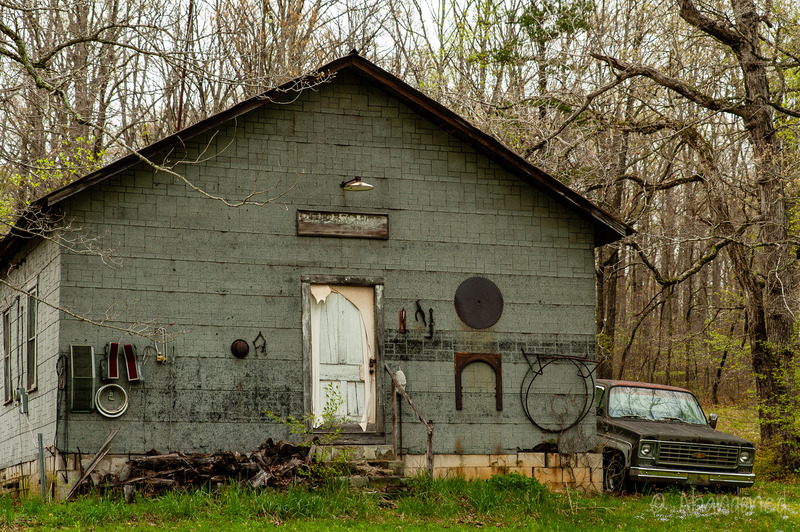 The Arjay School is located in the former Arjay Coal Company town of Arjay, Kentucky. The Kettle Island School was located in Kettle Island, Kentucky and was constructed by the Pioneer Coal Company. The coal camp, named for the early settlers who did laundry in a common kettle on an island in Straight Creek, was formed in 1912. Mount de Chantal Visitation Academy is a former private Catholic all-girls school in Wheeling, West Virginia. It closed in 2008 and was demolished in 2011. The former Shingleton School is located in Shingleton, Michigan. A view of a circa 1922 school in Orangeburg, Kentucky. The Lynn School was located in Lynn, Kentucky and was demolished in 2016. The former Decatur Township School is located in northern Lawrence County, Ohio. A quaint view of a long abandoned one-room schoolhouse in Indiana. A view of the long abandoned Vanceburg, Kentucky school.